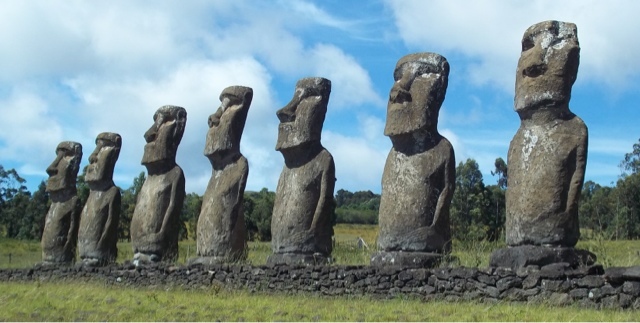 Easter island was first discovered by Europeans on Easter Sunday 1722. Of course the island was discovered long before that by the seafaring people of the South Pacific who named it Rapa Nui. A unique culture arose in conditions of extreme isolation. The moais pictured here are the most famous and mysterious surviving example of this early culture. I will post more about my visit to Easter island as soon as I get a chance.